Neville settled back in the rickety wooden chair, with a sigh. Then he frowned. Twisting to one side, then the other, he tried to find a comfortable spot on that chair. He leaned to the left . . .leaned to the right . . . schooched down in the chair. . . How did anyone ever sit here?! Thankfully he wasn't there for a relaxing drink after work. No tea today! He was there to sweet talk the proprietor into letting him go on a hunt in the basement. A hunt . . for mushrooms! A rare mushroom, in fact. A potentially new mushroom! Neville was quite excited, but . . . he hadn't had a good rapport with the man in charge there lately. He had, in fact, forced the Inn to shut down for a week, in order to combat a killer mold. It was neccessary! It had saved lives! But everytime he came in, the staff glared at him, his tea was cold, his food was cold and stale and he was seated in this . . blasted . . chair! Neville ran his hand through his hair. Who was his kidding? They'd never let him search the basement! He needed an ally. Someone to help him sweet-talk the staff . . or come up with a plan! Before his back gave out. Sebastian wandered into the establishment and greeted the staff who seemed quite happy to see him. He spent a little time schmoozing with the proprietor and the staff, making sure to pay a little attention to each person. A server was going to show him to one of the best tables in the place, but when Sebastian turned around, he spotted Neville. He smile and said to the server, "Thank you, but I think I'll go sit over there." Sebastian moved to the table where Neville sat on his rickety seat. "Professor Longbottom, Neville. What brings you out here to Hogsmeade? Shouldn't you be tending to the greenhouse or your House?" He gestured to the seat across from Neville, "Mind if I join you?" Neville looked up defiantly, ready to battle it out with the thick-headed proprietor and to DEMAND he be allowed to stay and . . and even investigate that cellar! But his expression changed, melting into a smile as he saw someone else entirely. "Sebastian! Welcome - Augh!" Neville had tried to stand, as was polite, but his back had twinged angrily at the sudden change of events and he sank back into it, like a man sinking into a bog, going down for the third time. Hopeless. Neville waved to the chairs facing him. "Sorry for not getting up. Please, have a seat, but - not that chair, any of the others." He waited until his back calmed down and then muttered. "Really, I think that the aurors should take a look at these chairs. They're more like torture devices. It could be a new dark art. The Unforgivable chairs!" He stopped then. Even now, trying to joke about it didn't work. He felt a surge of guilt rise in him and he tried to push it back down - at least while he was in public. "In a sense, I AM here on behalf of the Greenhouses and classes. I'm doing some herbology business. So what brings you here? The fine dining? The witty conversation? The excruciating back pain?" Inside, he realized he was being a little sharper than he usually was. He needed to get a hold of himself. Nothing was actually wrong, it was just one of those days. Suddenly, it was as though a beam of light shone on his colleagues head. There he was! An ALLY! He was just so tired and frustrated he had almost missed it! "Um . .Sebastian . . are you up for a bit of a treasure hunt?" Sebastian smiled at how happy Neville seemed to see him. He was about to sit on the Unforgivable chair, but the server who had been leading him to a better table was following him to Neville's table with a more stable chair. He smiled at her, "Grazie bella." He sat down and nodded, "Don't worry about not getting up." He tilted his head to examine the chair, "How did you end up with the chair of doom? They give that to students who cause problems here." He sighed a bit, "I think you're going to need a little help out of that thing." 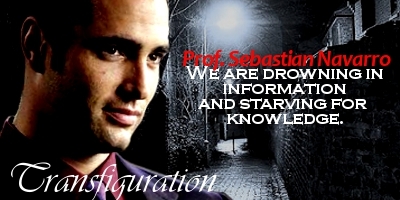 Sebastian chuckled at the choices Neville listed for his, Sebastian's, reason for being here. "The food here is alright, but I wouldn't categorize it as fine." He gestured to his chair, "Apparently I dodge the chance for excruciating back pain. And finding you here must mean I'm here for some witty conversation." When Neville asked if Sebastian was up for a treasure hunt, it sounded like Neville was asking him to join in some kind of nefarious shenanigan. He felt a tiny pang of homesickness as his best friend back home was the shenanigator and Sebastian always encouraged it and willingly joined in the shenanigans. Sebastian smiled slowly, "A treasure hunt, huh?" He shrugged easily, "I was just exploring. A treasure hunt would be a nice distraction from today's exploration." He leaned toward Neville so nobody could hear their plans, "So, what herbology treasure are we searching for? And where? Here?" It had just occurred to him that this might be the reason Neville was stuck with the horrible chair. Witty conversation? Him? Neville smiled and shook his head. He'd have to remember that. Of course, Sebastion had always been suave. There was an air to him that always made Neville wonder if he was really an undercover auror or something - but with an extra dash of class. Neville watched with amazement as the staff of the inn hurried over to get the transfiguration teacher a more comfortable chair, without him even having to ask. That was astounding. Neville was further astonished at Sebastian's questions regarding the more attractively named 'treasure hunt'. He'd hit it right on the button! The Herbology teacher leaned forward as well, lowering his voice. "Exactly! In the cellar of this very place, there is a mushroom. I caught a glimpse of it the last time I was here, but I was retreating from noxious fumes at the time and didn't have the ability to take a closer look. This fungi is either an entirely new species or very rare indeed! But they won't let me down there to look! I have been waiting an opportunity to . . I don't really know. Dash down there or something, when they're not paying attention. As you can see, I'm not their favorite customer." He indicated the chair with a grimace. The punishment chair, eh? Made total sense. In fact, a possibly brilliant idea for the classes . . . but no! "You could either convince them to let us down there, or maybe we could cast some camouflaging spell or . . I'm open to suggestion." Sebastian sat back in his sturdy chair and smiled at how passionate Neville was about this mushroom. He felt that he had no choice but to help his friend. If their roles were reversed, he was sure Neville would help him. Beside, this was a nice, adventurous distraction from all the exploring and meeting the people in Hogsmeade. "We need to drink on this. I mean think on this. Or both." He waved over a server and said, "Could we have a pot of hot camomile tea, per favore. Grazie in anticipo." When the server left, Sebastian said casually, "Well, we could tell the proprietor that we..." He cleared his throat, "need a little bit of privacy. And could we, please, use their cellar so nobody sees us?" He chuckled, jokingly. The server returned with the steaming teapot and two teacups, which was placed in front of the two professors. Sebastian switched the teacups after the server left and poured Neville some tea. "One of us could cause a distraction, that way nobody would be looking at what we're doing." As he spoke, he was vigorously wiping out his teacup. He then poured himself some tea, "I would ask the proprietor for permission, but he has an air of vindictiveness, and would probably refuse even me. What exactly happened anyway?" He sipped the tea, "I would suggest apparating, but since I've never been down there, I might end up hurting myself or breaking something, And, they might have an Anti-Apparition spell to prevent theft." Sebastian had been in enough trouble back home and in school that he had learned to come up with multiple plans just in case. Neville frowned, puzzled. He felt he was missing something. "Why would we need -"
Before he could finish, the server placed the tea and cups before them and Sebastian gallantly (and wisely, thought Neville) switched the cups and thoroughly cleaned out the one that had been marked for Neville. That was a man who understood the opposition. Neville went cold, thinking of what he would have ingested had the man not been there. He knew he wouldn't have thought of it until it was too late. A distraction now . . that could work . .
Neville considered it, as Sebastian poured the fragrant tea. Neville sighed. "I shut them down. For a week. They had a deadly mold in the cellar and it would been a disaster had it been allowed to spread! But it was a particularly sticky kind that can't just be -' He made a gesture like a wand motion. "Whooshed away in one go. It took time. And they of course, couldn't open or do any business during that time. Really, I kept them from having to close permanently, but . . try telling them that." He shook his head at Sebastian's suggestion. "Good idea, but the owner has a rather severe lock on Apparating down there. I think he's paranoid - afraid people will steal his 'finest ale'. I do like your distraction idea. I know right where it is, it will be the work of a moment to get it." HE leaned over the table, careful not to spill his tea. "If I give you directions, I could easily make a distraction. They hate me here!" Sebastian sipped his tea thoughtfully before asking the questions that insisted on being asked. “Deadly mold, huh?” He leaned forward slightly and asked, “How do you know this deadly mold didn’t contaminate the rare fungus?” Herbology wasn’t one of his best subjects and Sebastian wasn’t sure if mold would make a mushroom toxic as well. He finished his tea and carefully put his cup down. Sebastian was never an instigator of shenanigans, and this looked like it was going to turn out to be an interesting one, but he was always an enabler of said shenanigans. He seemed to be forming a plan before he continued. “I’m sure there are anti-apparation spells, but is there a back way out?” He sighed a little uncomfortably, “In my misspent youth, I had an opportunity to learn how to pick locks. If we can’t get out magically, maybe we can do it the hard way.” It seemed like to Sebastian, the Muggle way to open locks without a key was the hard way. The transfiguration professor poured himself a little more tea as he asked, “What do you think about that plan? We could be in and out in a few moments.” It had sounded like Sebastian had made these kinds of plans before. Helpless laughter shook Neville and he covered his face with his hand as he gave into it. That would really help matters with the staff there! A plague of mice! Still, what had he to lose? It wasn't like they were going to warm up to him anytime soon. In for a nargle, in for a snorkack. He smiled at his partner in crime. "Why not? Although keep those muggle skills of yours handy. I think it's rather brilliant, and you never know what that barkeep might have up his sleeve. As to the fungus, it's pretty hardy. . ." He thought about what Sebastian had said. It was a good point. "I'll check, but I don't think the mold will have effected it. I sincerely hope not." Neville glanced around furtively and then took a breath. "Okay. Let's do this. You take care of the mice, I'll slip downstairs, when it's mad enough, you join me. We'll get the fungus and then see what we have to do to escape." He felt a thrill run through him. He'd missed this. Herbology was his passion and he had no regrets about it, but he did like a little adventure now and then. "When you're ready." His wand was at the ready and his muscles had tensed, ready to make a run for it.